As we receive information from after school groups, Nancy will post them in the weekly newsletter under After School Activities. If you have questions about after school activities, please contact the school secretary, Caroline D’Ambrosi. Chess – This group will begin to meet after school on Wednesdays in October. See Winterhaven Wizards Chess Club 2016-17. NeoGeography Club – Club meets on the 2nd and 4th Tuesdays of the month from 3-4pm in the computer lab. See NeoGeography Club - 2016-17. 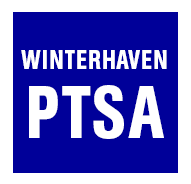 Bits & Bytes – This group meets on Thursdays and is for students in grades 5-8, See http://www.bitsandbytespdx.com/winterhaven.